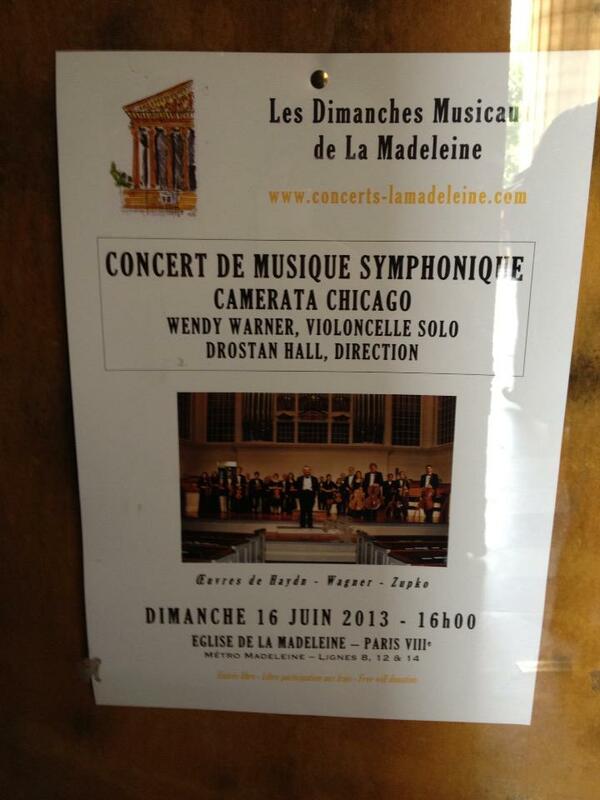 Camerata Chicago’s billing on a poster at La Madeleine, Paris. By Aurelien Petillot. 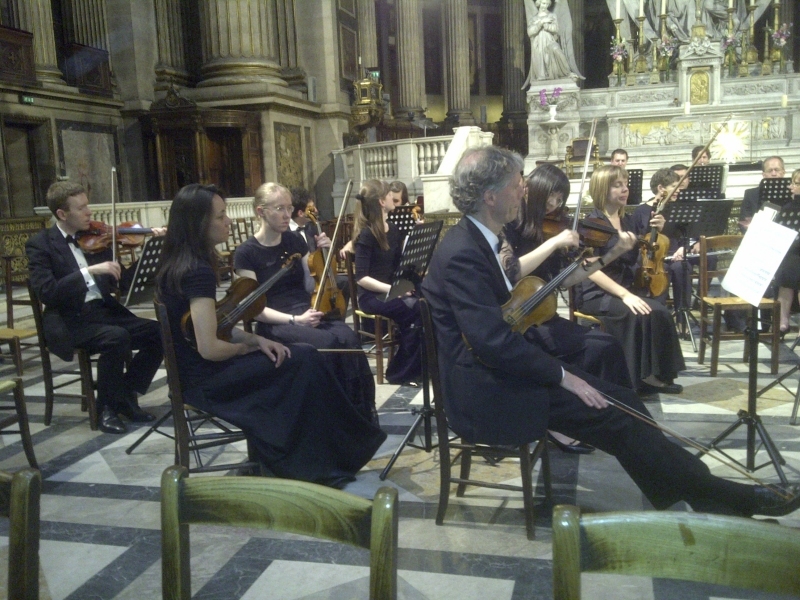 Camerata Chicago at La Madeleine, Paris. By Mischa Zupko. 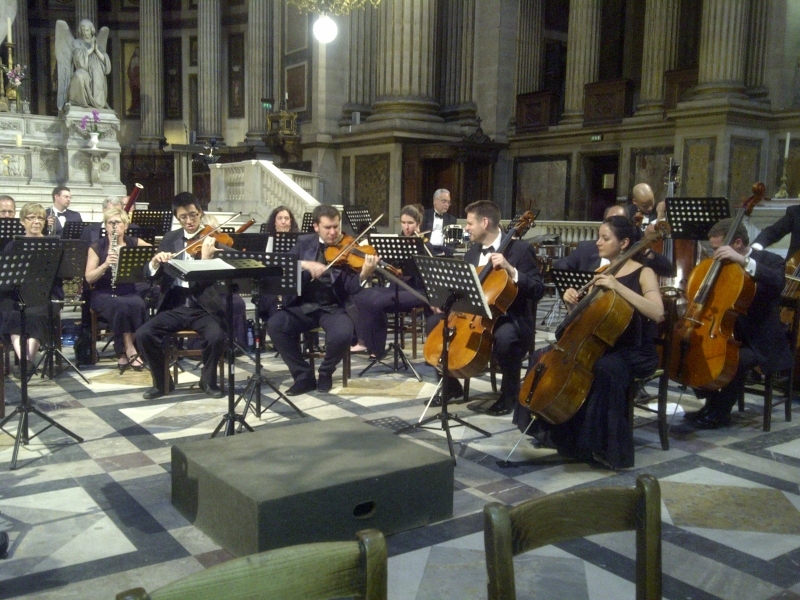 Camerata Chicago at La Madeleine, June 16. By Camerata Chicago. 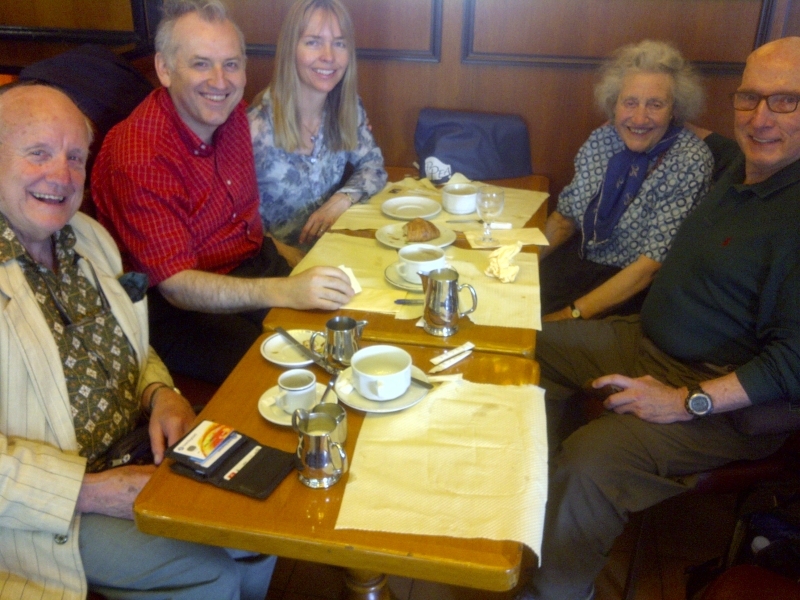 The Maestro in Paris with Graeme Hall, Ariane Hall, Joan Hall and Jim Scharnell. 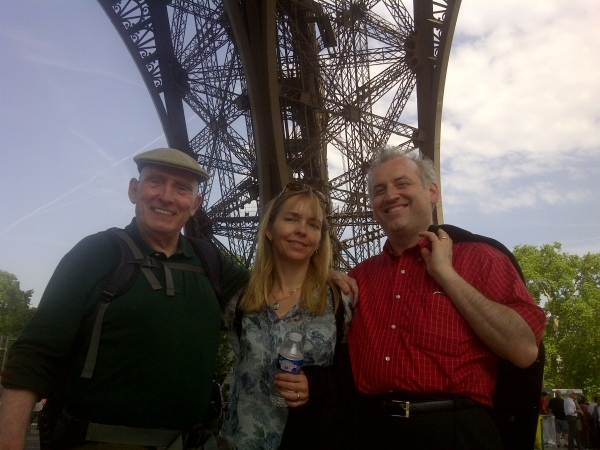 Jim Scharnell, Ariane and Drostan Hall in Paris. By Camerata Chicago. 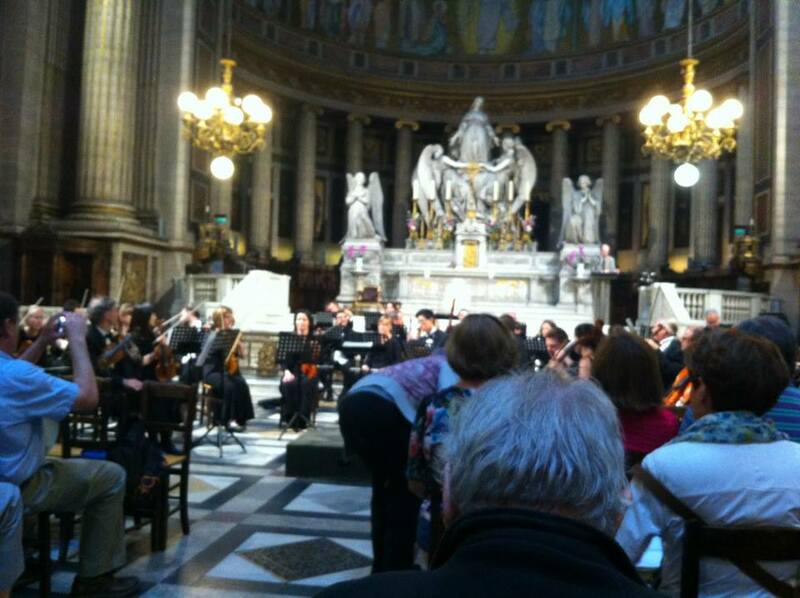 This entry was posted in European Tour Live, June 16 Paris by Bartholomew Hall. Bookmark the permalink.